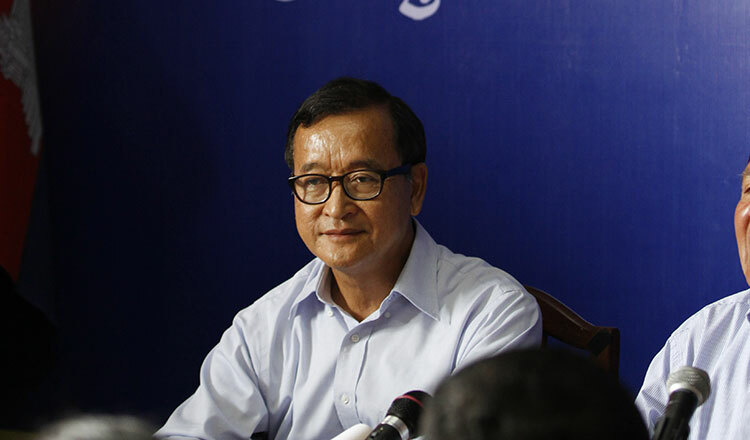 The National Election Committee today begins registering candidates from political parties to contest the upcoming national election while former opposition leader Sam Rainsy has reiterated his call for a boycott. NEC spokesman Hang Puthea said the committee would accept applications from parties contesting the July 29 election from today until May 14. “About 10 political parties have already come to get application forms from the NEC,” said Mr Puthea while declining to disclose the names of those parties. Meanwhile, Mr Rainsy posted a message on his Facebook page on Saturday, appealing to all Cambodian people to not take part in the election as it would help rubber-stamp the ruling CPP. “The CNRM and the CNRP once again appeal to all Cambodian fellow compatriots to boycott the forthcoming election if the opposition CNRP, the only credible challenger to the ruling CPP, is not allowed to participate,” he wrote. The CNRP was dissolved by the Supreme Court in November after its leader Kem Sokha was jailed on treason charges for allegedly conspiring with the US to topple the government through a colour revolution. Its 118 senior members were also banned from politics for five years. In January, Mr Rainsy established the Cambodia National Rescue Movement with the aim of helping the CNRP be revived and join the national election in July. Sam Inn, secretary-general of the Grassroots Democratic Party, dismissed Mr Rainsy’s remarks, saying that democracy had to move forward despite the absence of the CNRP. Mr Inn said the GDP would convene a meeting on May 6 to make a decision on whether to contest the election, noting that the party has a list of candidates nationwide. “First, we want to see if the election can be trusted with full rights of expression and see if it will be monitored by national and international observers,” Mr Inn said. 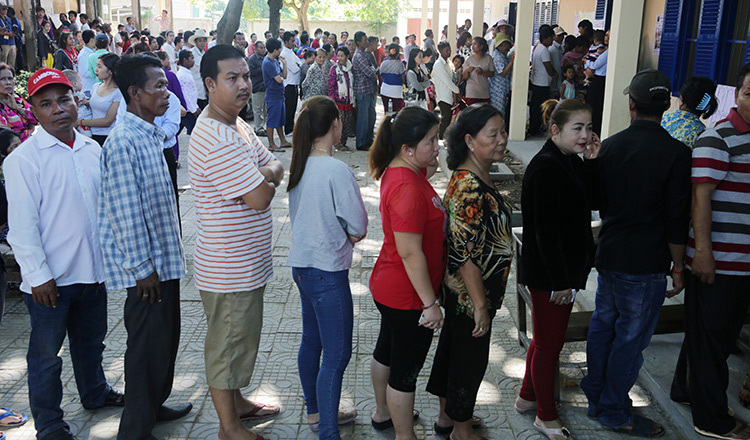 Mam Sonando, president of the Beehive Social Democratic Party, said yesterday that his party would register candidates and contest the election. “I will apply for registration on May 10 because I am waiting to see if more people are interested in joining my party,” he said. 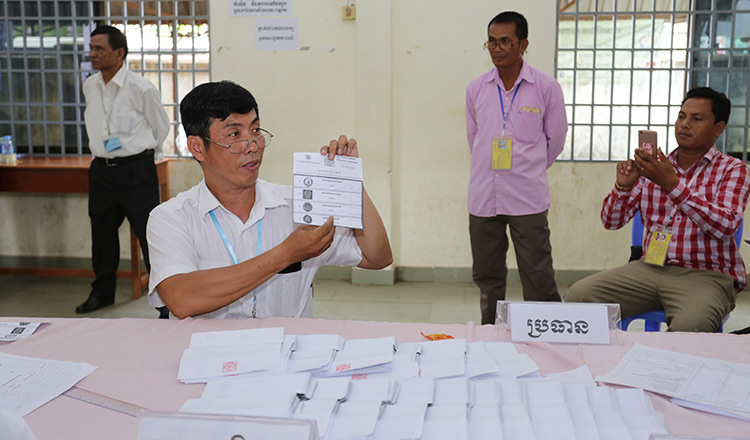 Sok Eysan, spokesman for the ruling CPP, said the CPP was scheduled to register candidates today. “We are going to apply by tomorrow because we are ready,” Mr Eysan said, noting that the CPP would win the election.